Based on John Dee's 'De Heptarchia Mystica' of 1582 and Edward Kelly's scrying of the Angel Magic system of the Seven Rulers. 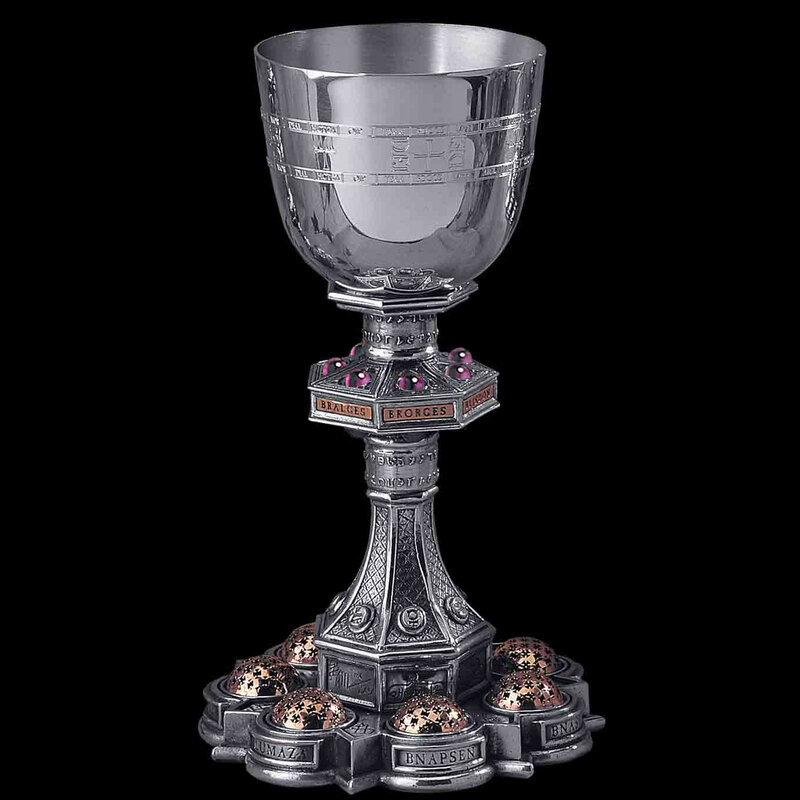 The names and the seals of the seven Kings and thier Princes are inscribed around the base, while the cup is engraved with the seals of the four watchtowers. The names are written in the Enochian language and the two translations above use John Dee's & Edward Kelly's original methods. Such a chalice may have been used in rituals when attempting to communicate with angels as it honours their names in their own language.